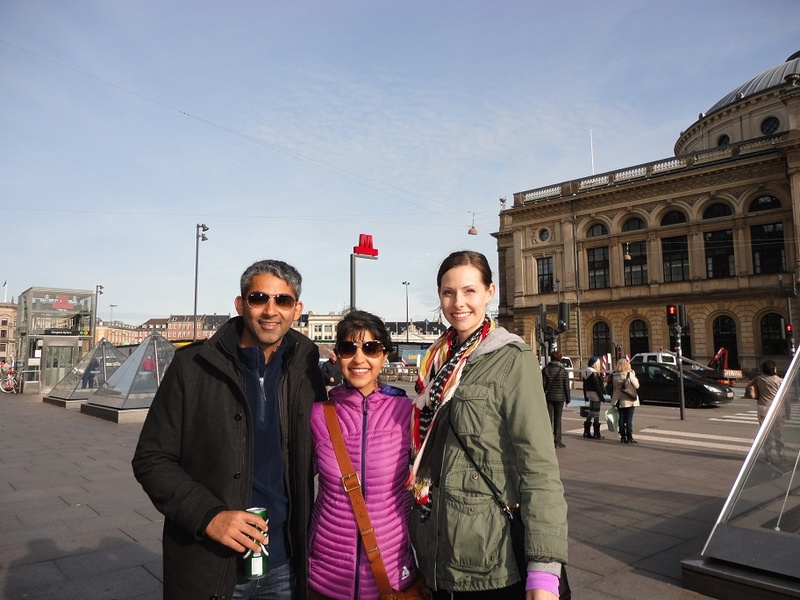 Copenhagen: Another walking tour, an Amazing Chocoloate Danish and of course more Beer! Hey guys, it’s been a while since we’ve posted. Apologies for the delay in posting but we’ve been so caught up in the travel and internet connectivity has been somewhat sparse. We’ve been in India for a few weeks but I wanted to finish out the last of our time in Europe. Our last post was all about Berlin and how amazing it was. From there we headed on back to Copenhagen. The ride was quite easy and we took the same route back; bus ride from Berlin to Rostock, ferry to Gedser, Denmark and another bus ride to Copenhagen. We arrived in the afternoon and made our way to our apartment rental which we found off airbnb.com. The email communication was easy, the apartment perfect and the location excellent. We got an involuntary lesson on frugality when Anjli ordered a glass of juice at a juice bar, which turned out to be $9.00. We dropped our stuff, showered and headed on out to meet up with our friend Lindsey, who just happened to be in Copenhagen. Lindsey and I worked on a project together recently at Microsoft. Anjli and I met up with Lindsey and after a quick bite at one of the many Turkish Doner Kebab places, we ended up at a live music bar to grab a few pints at a bar called Strecker’s. The live music was excellent and we ended up tossing back more than a few pints of excellent Danish beer. 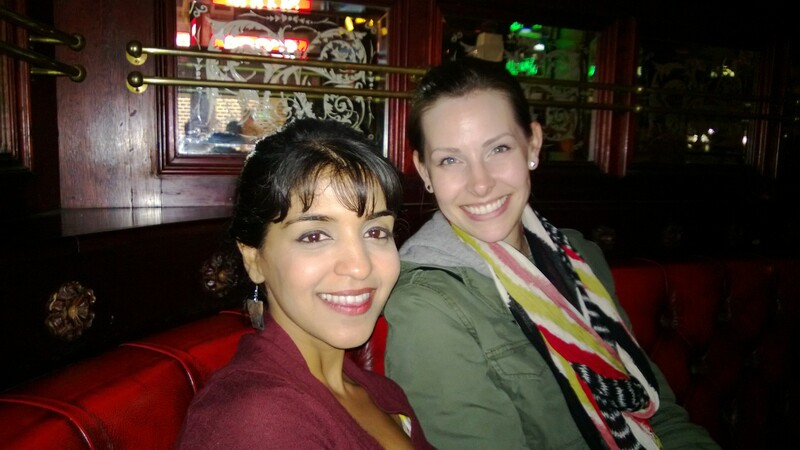 Here’s a picture of Anjli and Lindsey enjoying a pint. We turned in early that night and readied for the next day. 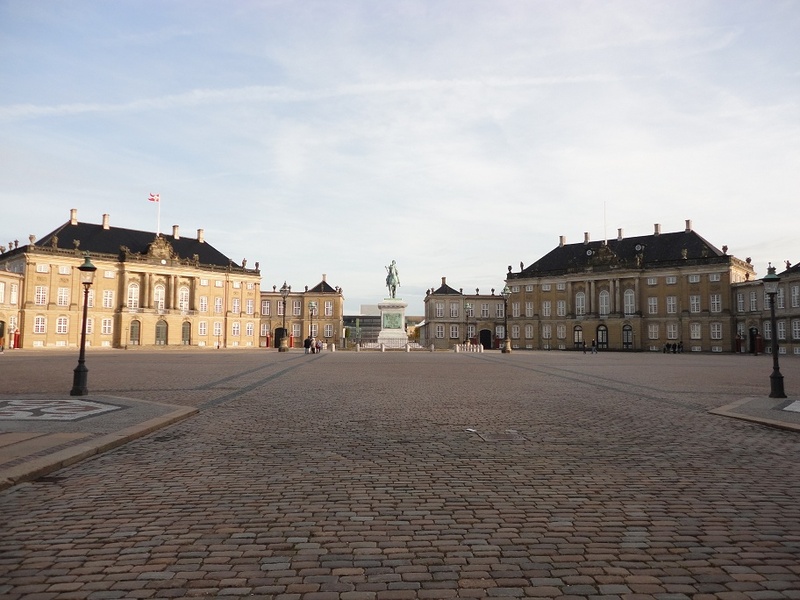 Day 2 – Beer Baron, Chocolate Danish and a country within a city. We started off day 2 with another free walking tour of the city with Sandeman’s, the same company that we took a walking tour with in Berlin. The tour started in front of the Copenhagen City Hall and we made our way to the birth place of J.C. Jacobsen, of The Carlsberg beer (Named after J.C.’s son Carl). 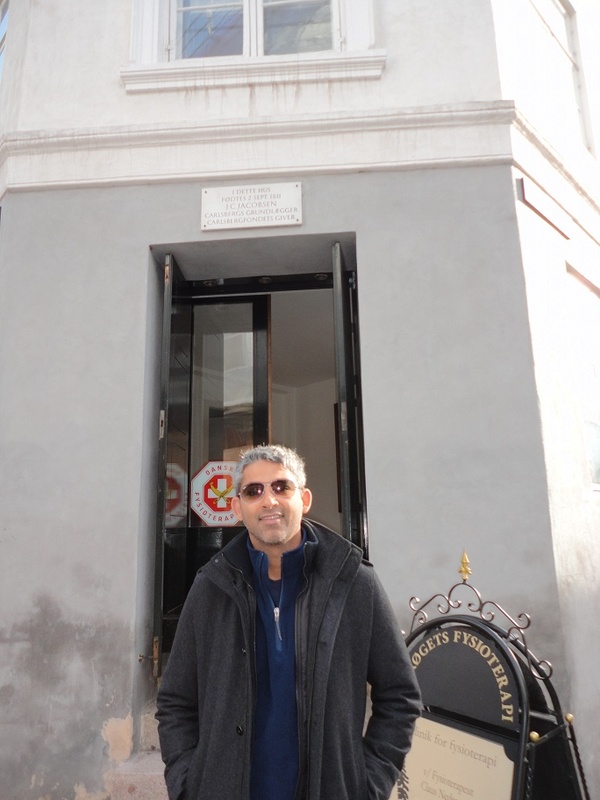 Here’s a picture of me in front of the building where he was born. J.C. and Carl made so much money off their famous beer that they started giving it away. Countless monuments, buildings, landmarks around the entire city were gifted by the beer barons. We couldn’t walk a few blocks without hearing of something that had been gifted to the city by them. From there we checked out multiple sites around the city. Here’s a picture of the historic Hotel D’Angleterre (Wikipedia). A night’s stay here will run you a measly $15,000 a night. 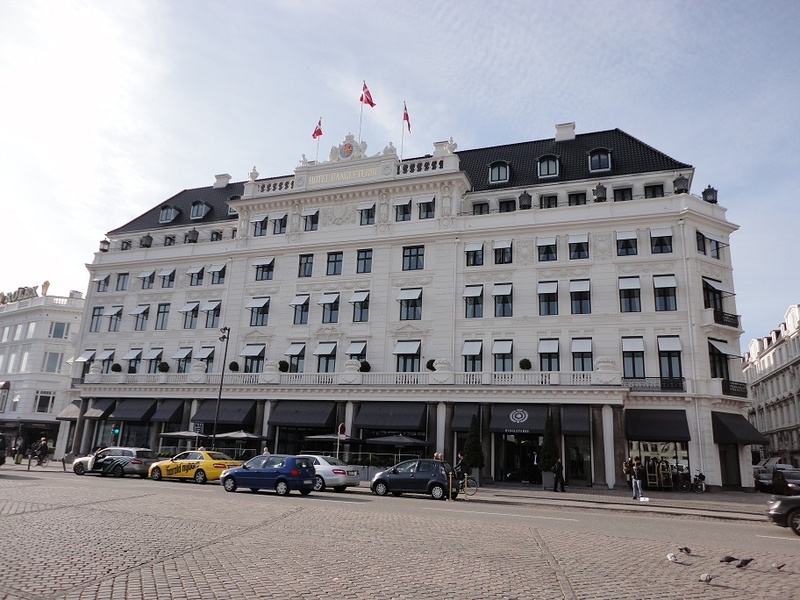 Heinrich Himmler, who was supposed to stay here, escaped an assassination attempt (Spy Tommy Sneum’s The Hornet’s Sting) when he decided not to come to Copenhagen after getting sick in Norway and skipping it to head back to Berlin. Though Denmark was under Nazi occupation during the Second World War, it managed to save over 95% of its Jews. In one incident, many Jews were quietly smuggled to Sweden with the Nobel Laureate physicist Niels Bohr, a Dane himself, in tow. From Sweden, Neils Bohr later moved to America and worked with Robert Oppenheimer on the Manhattan Project. 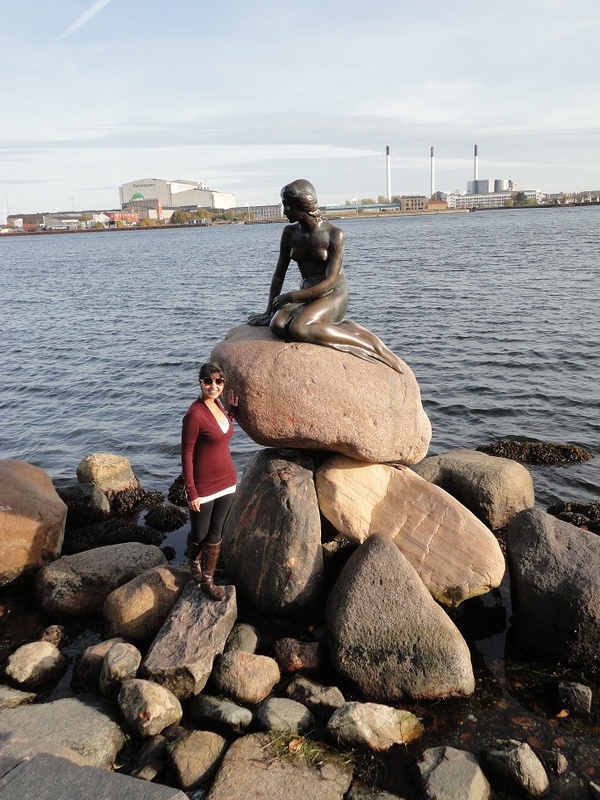 We visited other sites including Amelianborg palace (home to the Danish Royal family) and the Little Mermaid monument. Denmark was also home to Hans Christian Andersen, who authored many famous fairy tales including The Ugly Duckling and The Little Mermaid. After the walking tour we indulged in what our tour guide called the best Danish pastry in Copenhagen. So Anjli, Lindsey and I indulged in a little afternoon treat. 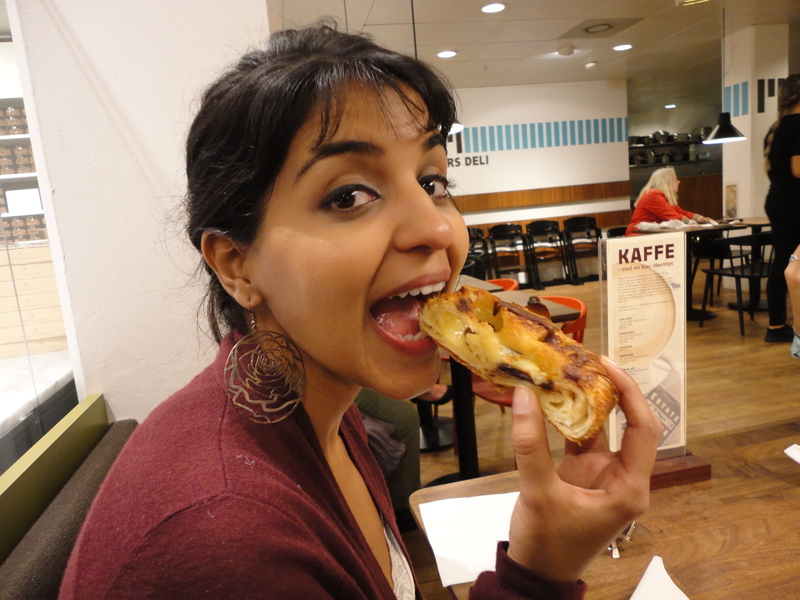 Here’s Anjli scarfing down her chocolate Danish. We later walked to a part of town called Christiania (Wikipedia), where canabis is legal and you can purchase it and smoke on premises. Anjli and I opted for a beer instead, while Lindsey had a water. Christiania had just three rules that were clearly posted on street signs. As simple as that. We didn’t take any photos as they weren’t allowed but it was an incredibly amazing and safe place. If you’re ever in Copenhagen, be sure to check this place out. As we were leaving Christiania, a sign posted with the inscription “You are now entering the European Union” was posted in graffiti. That about wrapped up our time in Copenhagen and in Europe. We were to head off to India the next day. Finally, one more thing about Copenhagen I loved was public drinking. Here’s me enjoying a Carlsberg while posing for a picture with Anjli and Lindsey. We really enjoyed Copenhagen and wished we had more time here. A deeply socialist society that has a history of taking care of it’s own during good times and in bad. It was also great seeing our friend Lindsey. If you’re planning on being in Asia in the next few months…hit us up. This entry was posted in copenhagen, Europe, Friends and Family, Uncategorized and tagged carlsberg, copenhagen, danish pastry. Bookmark the permalink. Wow! Finally I got a weblog from where I be able to in fact take useful information concerning my study and knowledge. your articles. I’ll bookmark your blog and test again here frequently.